Two-time Academy Award® winner Mario Puzo is known around the world for his brilliant book The Godfather, widely considered the finest novel ever written about the Mafia. 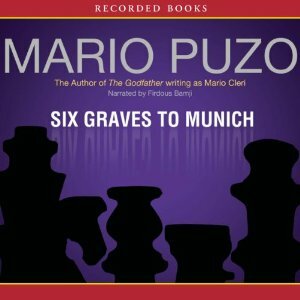 Two years before Puzo published that iconic work, he released Six Graves to Munich under the pseudonym Mario Cleri. During World War II , intelligence officer Michael Rogan losteverything—including his family—to brutal Nazi interrogators. Now 10 years have passed, and Michael is returning to Europe to exact his revenge.